Knopf Publishing Group, 9780307962881, 621pp. Against a fraught background—the revolution that deposed Anne’s father, James II, and brought her to power . . . religious differences (she was born Protestant—her parents’ conversion to Catholicism had grave implications—and she grew up so suspicious of the Roman church that she considered its doctrines “wicked and dangerous”) . . . violently partisan politics (Whigs versus Tories) . . . a war with France that lasted for almost her entire reign . 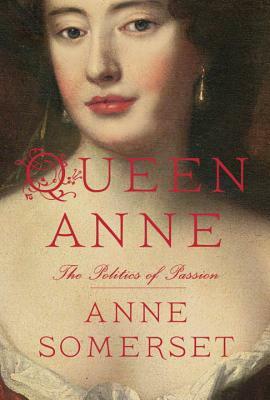 . . the constant threat of foreign invasion and civil war—the much-admired historian, author of Elizabeth I (“Exhilarating”—The Spectator; “Ample, stylish, eloquent”—The Washington Post Book World), tells the extraordinary story of how Sarah goaded and provoked the Queen beyond endurance, and, after the withdrawal of Anne’s favor, how her replacement, Sarah’s cousin, the feline Abigail Masham, became the ubiquitous royal confidante and, so Sarah whispered to growing scandal, the object of the Queen's sexual infatuation. Anne Somerset was born in London and graduated from King s College, London. She is the author of "The Life and Times of" "King William IV, Ladies in Waiting "and "Elizabeth I." She has worked as a research assistant for several historians, among them Antonia Fraser. Somerset, the daughter of the 11th Duke of Beaufort, lives in London.